You can now pre-order your 2019 Northern Ireland Festival merchandise. Printing Inc. will be at the show selling branded t shirts, mugs, baseball caps and bags. 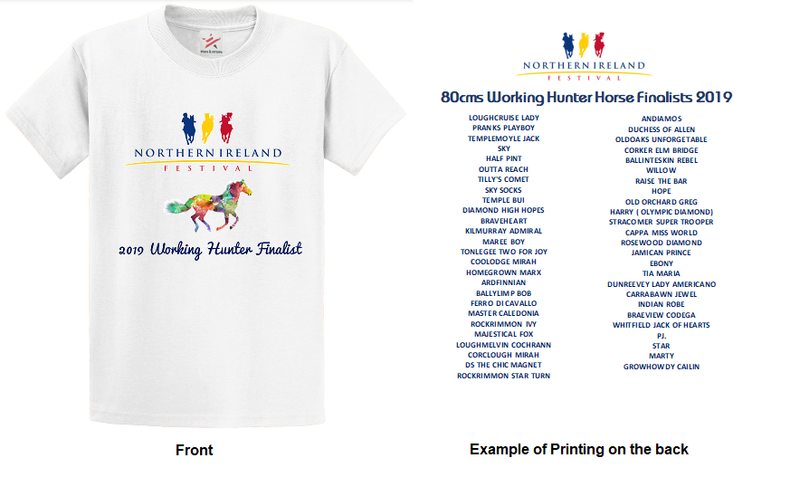 The new Festival Working Hunter qualifier t shirts are available listing all the finalists on the reverse. Pre-order now and pick up your order at the show.